Bad Axe Throwing is coming to Brooklyn in May 2019, serving Manhatfort worthtan and the greater New York area. We’re the premier destination for birthday parties, corporate events, bachelor & bachelorette parties, any special occasions, or people looking for a fun outing with friends. Whether it’s to pick up a new hobby or learn a new skill, our unique axe throwing experience is done in a fun & casual urban atmosphere. Soon you will be able to hold at our Brooklyn venue. 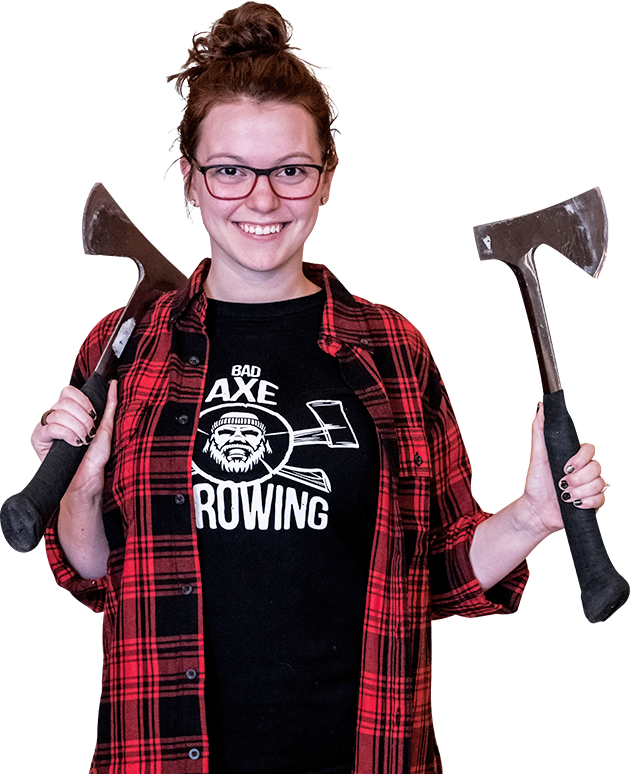 Axe throwing is perfectly suited for groups that are looking to have an unforgettable time, we will setup fun, unique, competitive games and even mini-tournaments with your friends, family and co-workers. It will be super easy to pick up the art of hurling an axe with the guidance of our instructors and expert coaches. Our incredible coaches will help you out with throwing forms, techniques and playing games including a tournament so everyone can have fun.